My patriotism is another country's treachery, learn to agree on disagreement could save us from hate speech and vengeance. Pakistan’s social media users has gone crazy over Indian film “ Phantom” which says that Pakistan has terrorists and movie was banned by Lahore High court on plea of Jamat ud Dawa chief Hafiz Saeed; who is allegedly Mumbai Blasts master mind as said by Indian Media. The movie got a lot of criticism and in press conference actor Saif Ali Khan said” I don’t have faith in Pakistan”; the statement got more reaction. Saif and Katrina Khan starrer got no good business of box office as well. IMDB rated Phantom as 4.8 which is quite below the belt rating. In that instance Pakistani actor Faisal Qureshi uploaded a video slamming Saif Ali khan, later on Shan Shahid and Hamza Ali Abbasi jumped unto the train and gave a strong answer to Saif ali khan. Model and actress Mawra Hocane got slammed by twitteratis and Facebook users on defending Phantom and saying that she is pro humanity. The movie only tells about terrorists and it does not say Pakistan is a terrorist country. In response to that a motivational speaker and trainer Ashraf Chaudhary gave her a befitted answer and later on called her a sl**t in response when he forgot the preaching of tolerance. 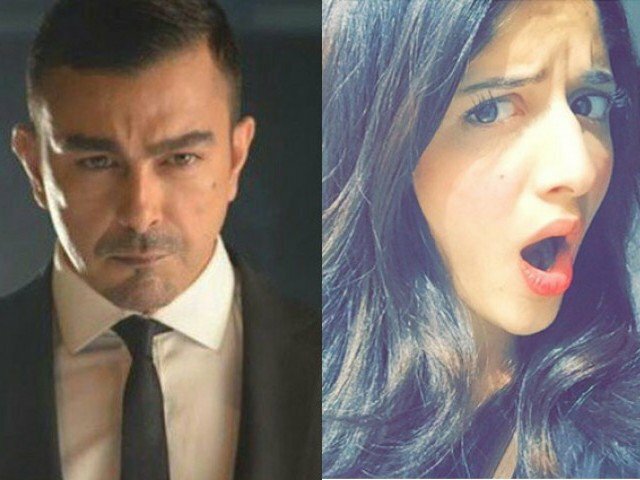 While Shan Shahid asked to ban Mawra for supporting 'Phantom'. My say is that Phantom is just a movie, and it cannot lead us to a war, watch Bajrangi Bhai Jaan directed by the same person i.e. Kabir Khan. The issue which I see is that people who cannot win from a logic they start character assassination, and in a woman’s case it is the easiest thing to do. Favoring or not favoring movie Phantom cannot judge your loyalty with the soil and this cannot be forgotten that one’s patriotism is other country’s treachery. Seeing the universal facts, and the present situation in which we are in, any hate speech lead us to more hate speech. The hate speech we do to defend our argument is too mainstream now and we can see this on any matters. Few of the comments I saw were regarding actress’ new Bollywood movie poster and the other thing she was criticized for spelling her name. I don’t think anyone has rights to point finger on anyone’s name spells. This is us who decided which letter to use and what if Mawra write ‘Hocane’ instead of ‘Hussain’ makes her any less a Muslim or Pakistani. What wonders me is how intolerant we have become. How indecent we are in our conversations towards women, we think if a woman says of her heart she is nothing but trash, and if she is from showbiz then she has a certain name which can be tagged with her to shut her mouth. Agree to disagree, respect other’s point of view, you have to dislike them but have no right to humiliate and say indecent words when you are out of logic or argument.